Eric Carle's biography gives readers a glimpse into the life of the man behind some the world's most wonderfully illustrated children's picture books such as The Very Hungry Caterpillar and The Very Lonely Firefly. Eric Carle was born in 1929 in Syracuse, New York. When he was six, he moved to Germany with his parents where he eventually graduated from Akademie der bildenden Kunste, a prestigious art school in Stuttgart. At 23, he moved back to the United States where he landed a job as a graphic designer at The New York Times and later as the art director of a major advertising agency. In the mid-1960s, scholar and author Bill Martin Jr. asked Carle to illustrate a children's book he was authoring. The result was Brown Bear, Brown Bear, What Do You See?, a popular story even 40 years later. This book turned out to be a turning point in his life, both personally and professionally. He gave up his career in advertising and went into not only illustrating but also writing children's books. 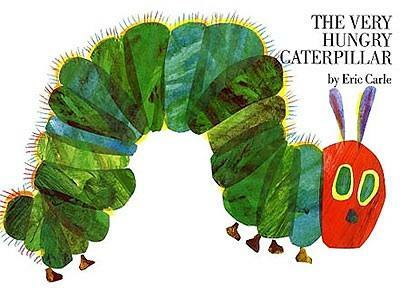 While the first book he wrote and illustrated was 1,2,3 to the Zoo in 1968, it was the ever-popular The Very Hungry Caterpillar a year later that made Eric Carle a household name. His artwork and use of colors not only captured the eyes and hearts of children, but many adults as well. To date, The Very Hungry Caterpillar has sold more than 29 million copies and has been translated into more than 47 different languages. Eric Carle is married and has two grown children. He splits his time between Florida and North Carolina. In 2002, along with his wife, Barbara, he opened up the Eric Carle Museum of Picture Book Art in Amherst, Massachusetts. This museum focuses solely on the appreciation and understanding of art in children's picture books. The 40,000-square-foot building houses three galleries of rotating picture book art from around the world. Eric Carle's picture books are not ordinary, but his artwork is instantly recognizable. His images are created using a collage technique. He hand paints paper that he then cuts and layers to form pictures. In some of his books, Eric Carle even goes a step further and adds die-cut pages, illumination and sometimes even sound to the stories. It is obvious children and adults love Eric Carle's books. His stories come from an extensive understanding of not only youngsters, but the world in which they live. His books offer young children a chance to learn something about nature, drawing on their intellect, inquisitiveness and curiosity.